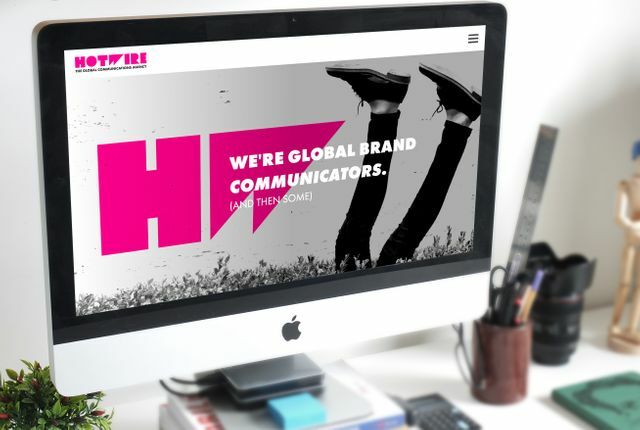 It's an exciting day here at Hotwire as we introduce our new brand identity to the world. As our Global CEO Barbara Bates explains in this PR Week article, the rebrand is way more than just a hot pink logo. It represents a new mindset for us globally. It's rooted in our three year vision to become the Best Agency You'll Ever Work With - an aspiration which reflects our limitless philosophy. The future is about hiring the very best talent and working with great new clients. The article captures the spirit and meaning behind our new hot pink identity. The bold colour is a deliberate choice. It represents the cut through we want to create, not just to our clients but to our people and to the wider industry. Barbara explains in clear terms how we will live the brand across our offices worldwide and stand out from the crowd. It's about a borderless mindset; it's about how we show up in the industry and how our success will continue to be defined by the work we deliver. So it's a momentous day for everyone across Hotwire worldwide. For all our offices, our exclusive partners and our network of affiliates. Today we reflect on where we've come from but more importantly, we celebrate where we are heading as an agency. "This is more than a brand overhaul. This is about the bold new direction we have taken with our business - to go beyond PR, beyond borders and beyond b2b tech. It's a celebration of our evolution as an agency and the limitless mindset we've created within our team and clients."